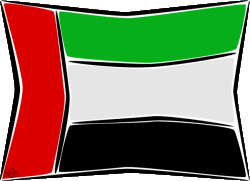 United Arab Emirates (UAE) continues to make financial news almost on weekly basis and for all impressive reasons. Just recently, the nation was elevated to emerging market status that will begin in May of 2014 and it is a testament to all they have continuously done to grow their domestic economy for the future. Although it may be nice to have all that oil money in the bank to fall back on in times of trouble, the UAE had been spending and investing it wisely in foreign markets and what they are accomplishing is nothing short of extremely impressive. The nation is becoming a hotspot for foreign investment as their FDI (foreign direct investment) indicate double-digit increases since 2010 and investors seem to be flocking to take advantage of the excellent investing opportunities and conditions. The UAE is now seen as a relatively safe haven for investor’s capital and as a result, it helps fuel the local economy even more, sort of like a snowball effect. The country is seen around the world now as being more “investor-friendly,” due to their restructuring of their foreign investment laws. In fact, it has been said that other nations should take more notice of what is contained in them and apply some of their principles to their own investing regulations, in a manner that encourages investing opportunities that earn steady investment returns for investors and attracts more investments into the country. In the UAE, the leaders had a vision for their nation and have gone about building it for all the world to see and benefit from. Their tourism numbers are consistently growing beyond expectation and their manufacturing base has increased substantially in recent years as non-oil exports continue to grow annually. The UAE economy did take a bit of a hit when the European financial crisis began in 2008 but a determined effort in the mean-time has paid off with the positive results that are witnessed today in the country. The capital city, Abu Dhabi, has been a big beneficiary of tens of billions of dollars of investment and it is easy to see where it has been spent. The city and surrounding area is beginning to look like something out of an artist’s imaginative mind that has come to life on a huge scale. Some may even go as far as to say it is one of the most beautiful and modern cities in the world and there is still much more to be done before it is complete. It’s no wonder people from all over the world are flocking to experience it first-hand and review investment opportunities in the region. While it may be good to have a lot of money in the bank, much more good can be done with it if it is spent and invested in a manner that is beneficial to the greater good, in this case, the future economic foundation of the UAE. From all viewpoints, it would seem they will be a force to be reckoning with in the future.